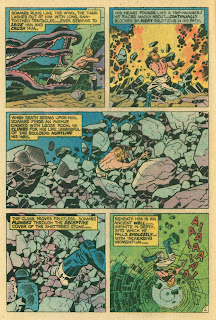 AttennSHUN, Groove-ophiles! 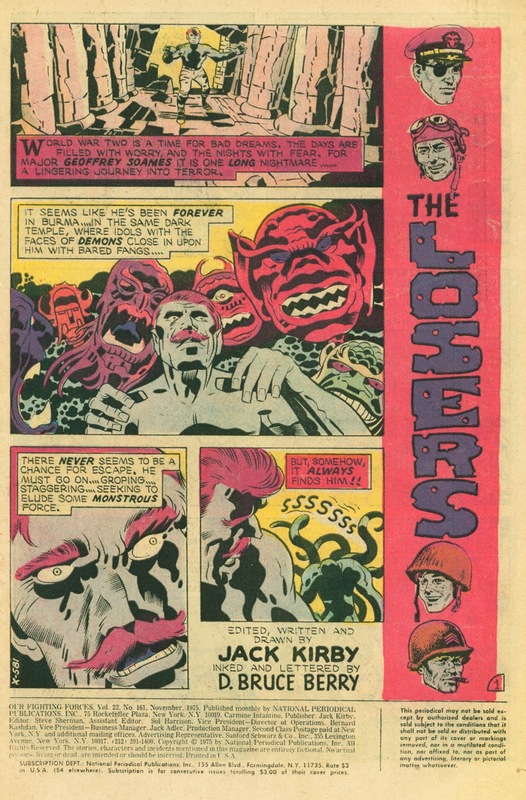 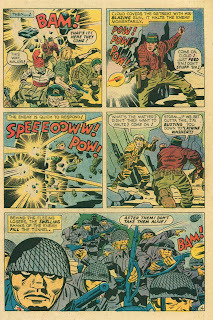 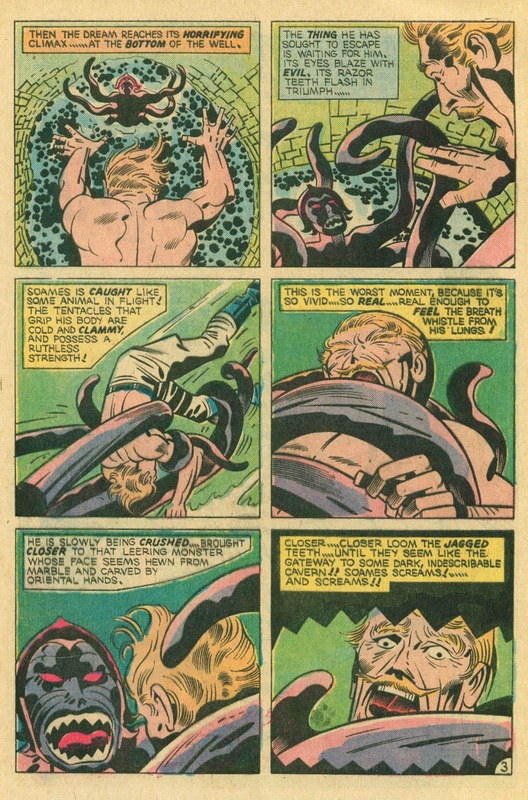 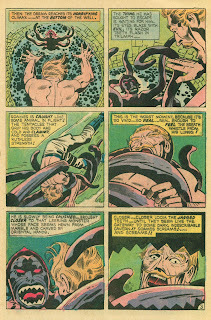 Jack "King" Kirby is back with another Losers mini-epic! 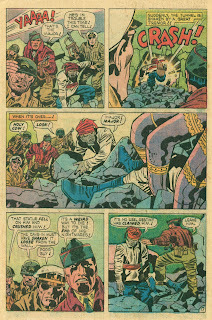 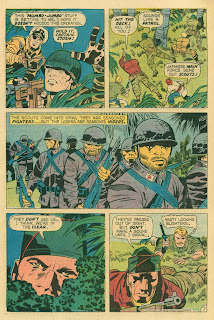 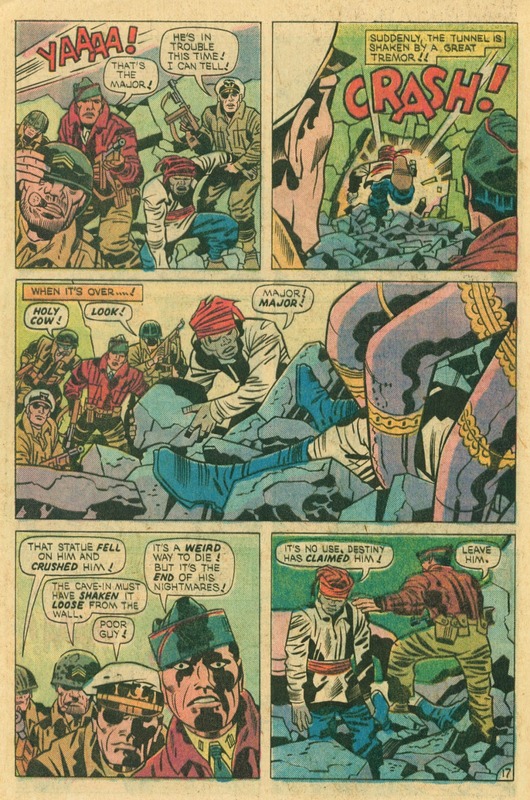 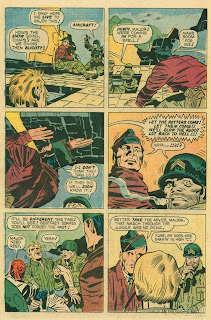 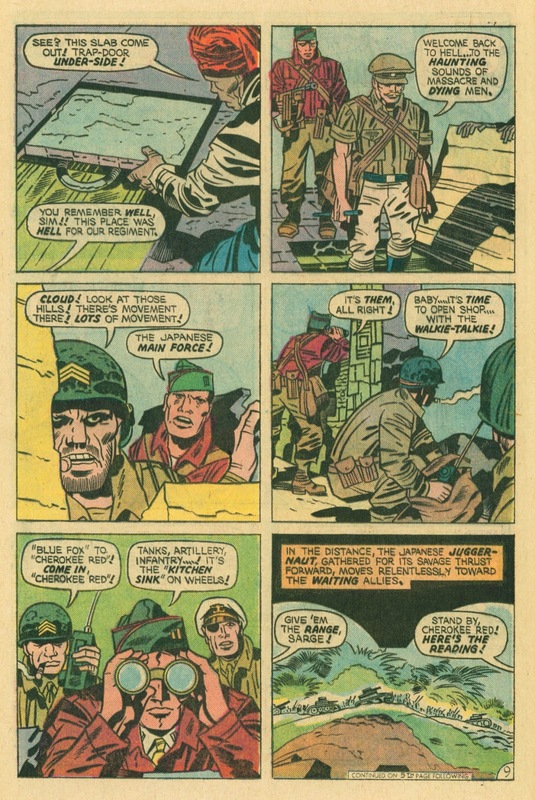 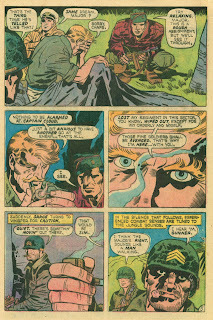 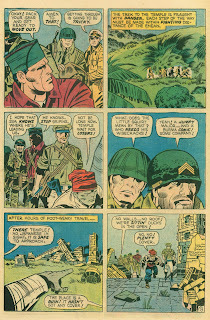 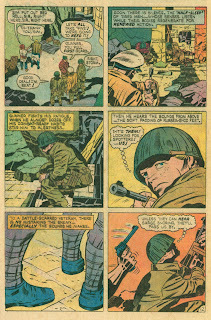 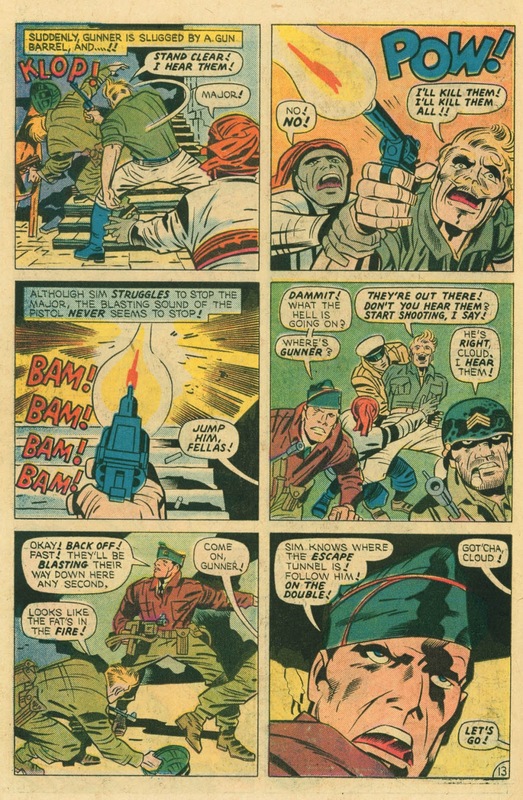 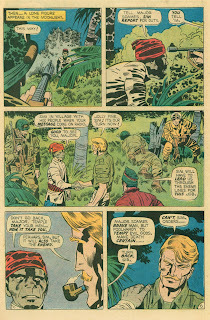 "The Major's Dream" from Our Fighting Forces #161 (August 1975) feels almost like an episode of The Twilight Zone, but it's really King Kirby dealing with the sensitive issue of the trauma suffered by so many soldiers of all ranks and nations. 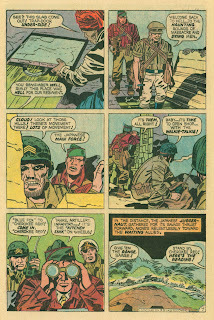 D. Bruce Berry inked it, and somebody at World Color Press messed up with the printing plate on page one! Oh, yeah--and Joe Kubert drew the cover! I can't say enough good things about Kirby's run on The Losers. 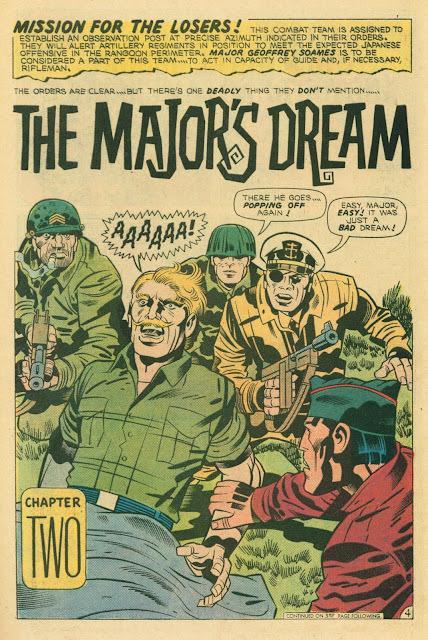 I will say, however, one can expect some surprises. 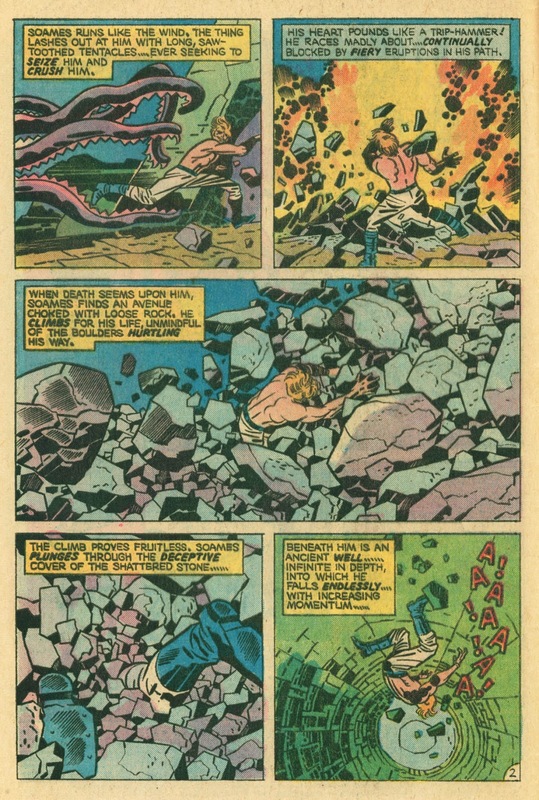 There seems to be a mystical element in a lot of these stories. 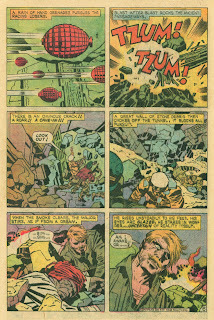 I've only got a couple issues of this run, so seeing the issues shown here is a real treat! 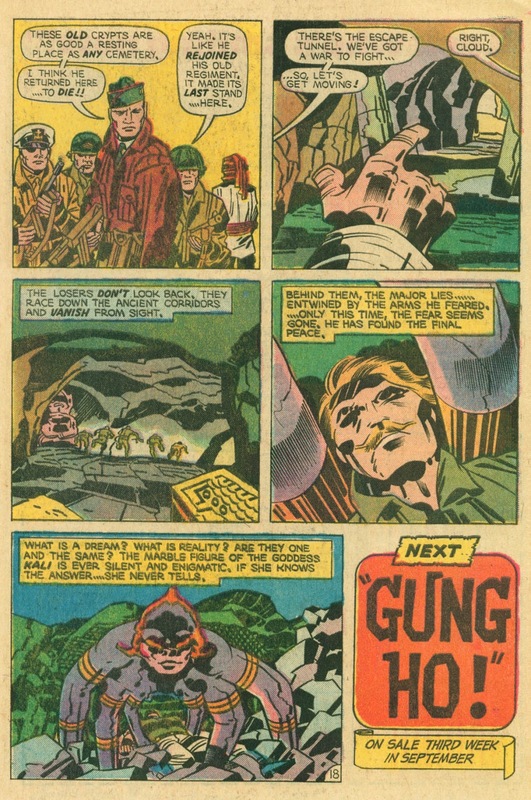 I know what you mean MP, the ending has something of Spirit World about it - like that final panel is just missing the image of a beardy, pipe-smoking Dr Maas needed to turn that caption into a speech balloon. 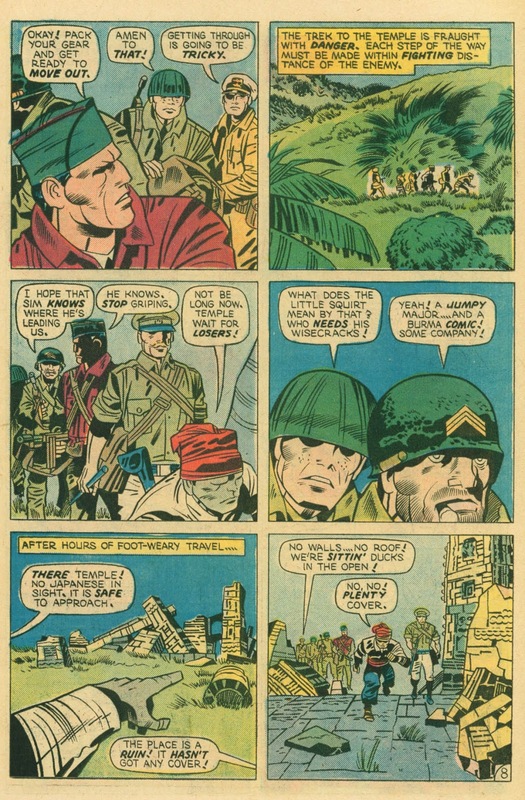 Before that I was reading it more as one of Kirby's PTSD dramas, filtered through Major Soames' relationship to Burmese culture. 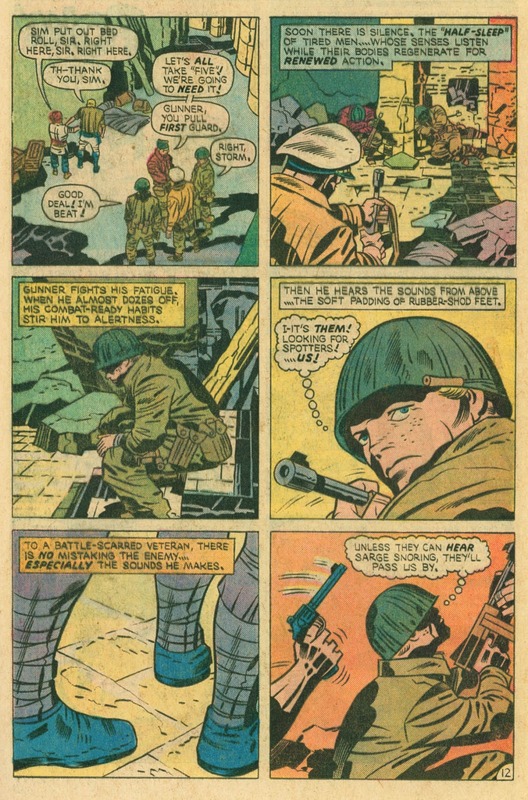 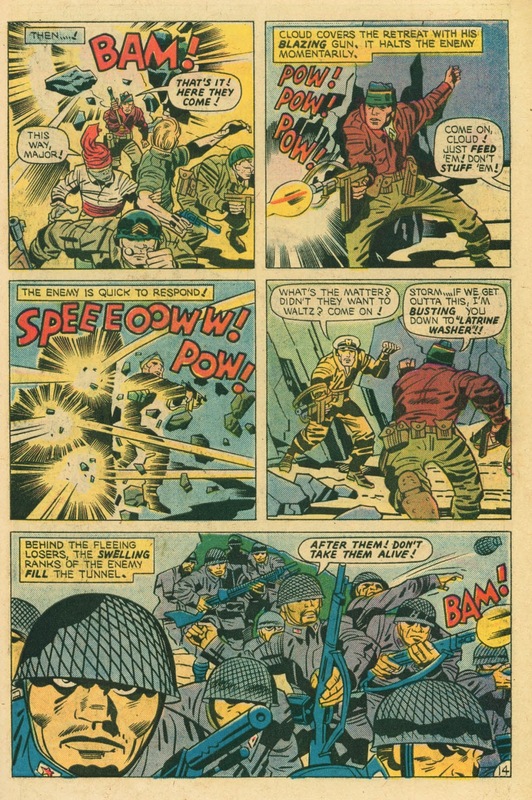 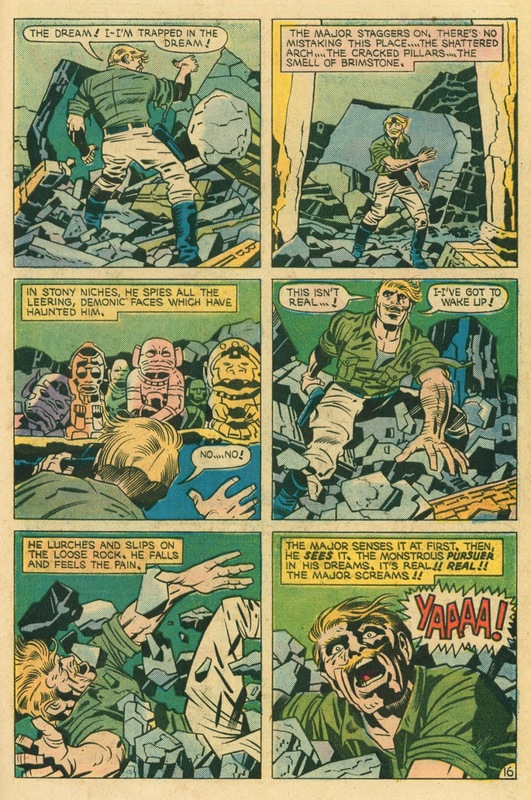 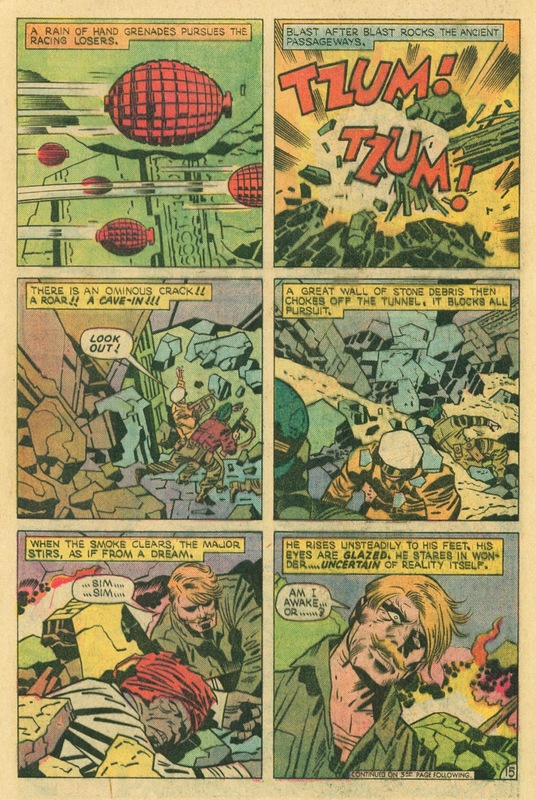 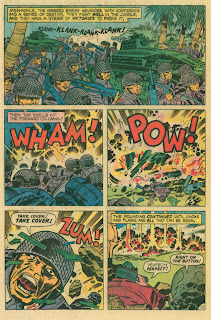 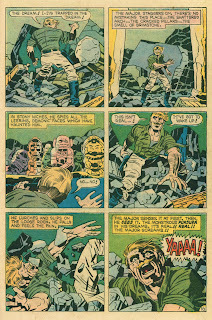 I recall reading that Kirby spent an extended period in hospital in London before being shipped back to the US and I wonder if the character isn't based on someone he'd met, because its an unusual approach to character and theme for a 70s war comic, particularly an American one. 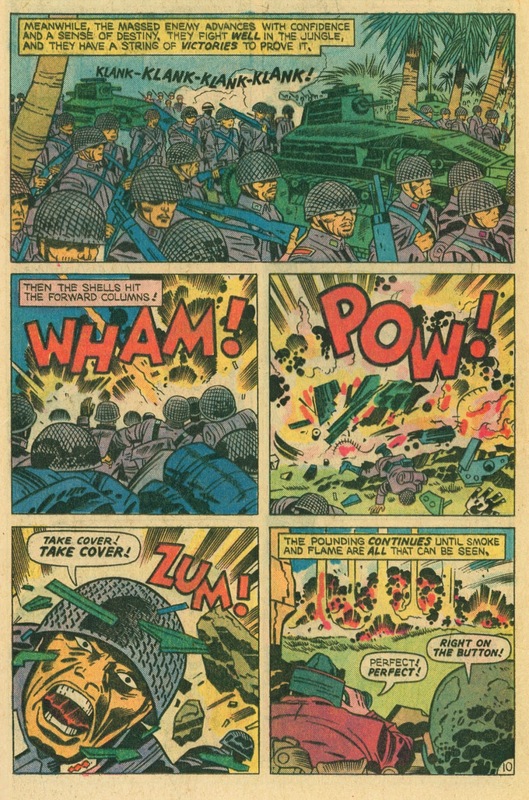 No offence intended - its just a tribute to Kirby as a writer that he had that kind of understanding of the British upper class and its colonial subjects. You're very welcome. 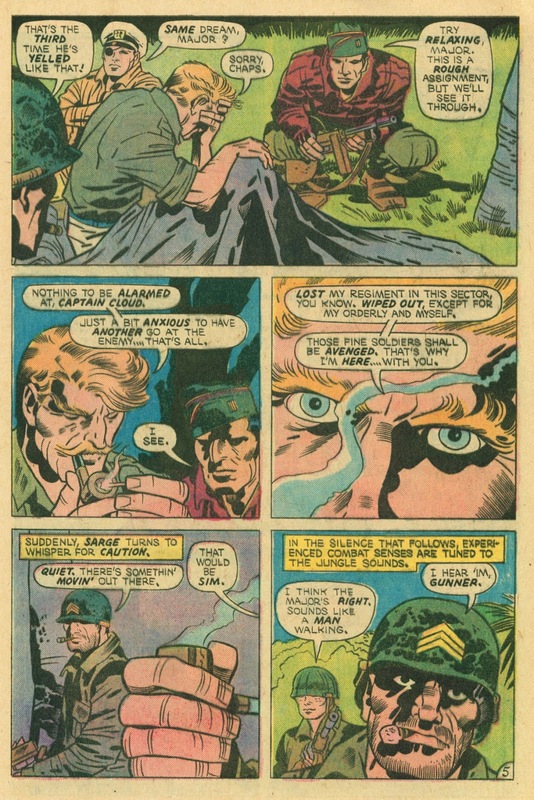 Kirby knew these things because he'd been through them and had the skill to share that knowledge in a way that would help so many of us have a better understanding of PTSD. 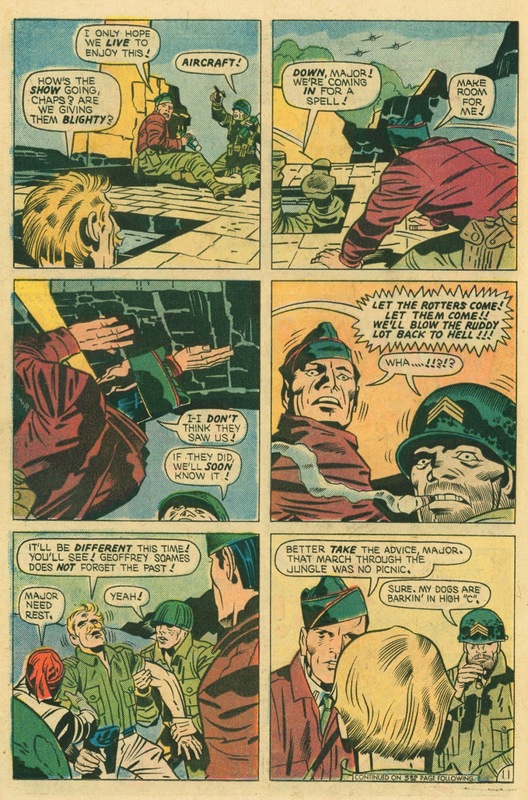 My grandfather dealt with it for 60-plus years as a WWII Veteran. 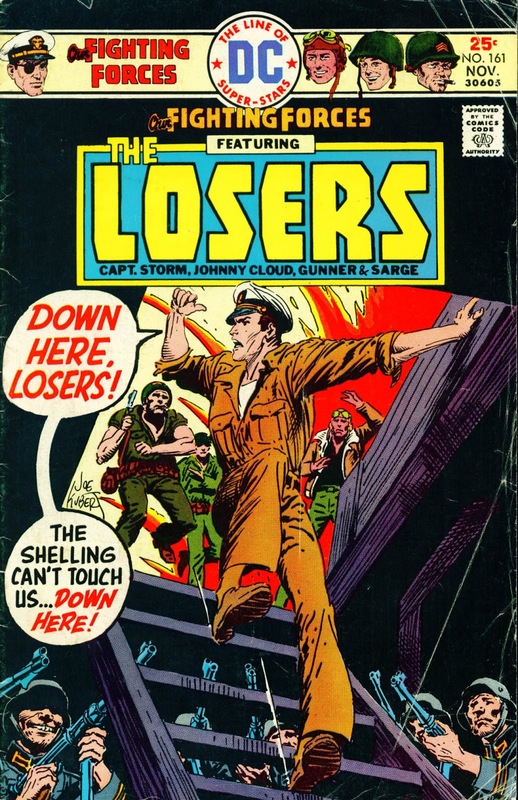 Love the Kubert cover, his cover work made me buy many an issue.